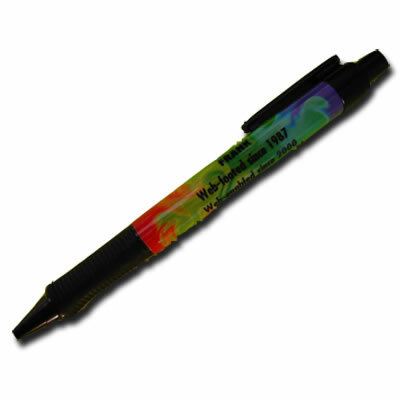 Tie-dye Frank Pen, Black Ink, Black clip. This is a bold nod to the fusion of 60s love power and today's corporate pen power. No hippy board room is complete without one. 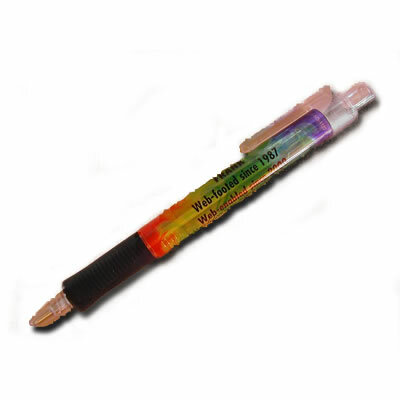 Tie-dye Frank Pen, Black Ink, Clear clip. 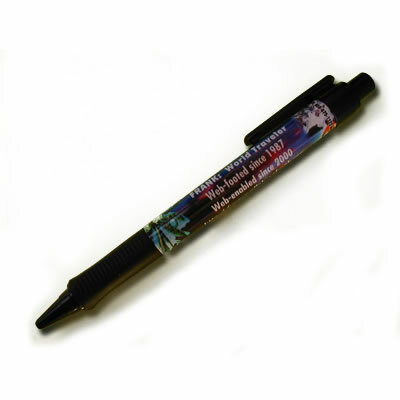 Be the coolest dude on your cell block with the clear pen, and hide it where the guards won't see it. Like your pillow. World Traveler Frank Pen, Black Ink, Black clip. Think you're going somewhere? With the world traveler pen, you're ready to get going... don't forget your passport, eh.